The issue of Primary school homework is one of the most contentious in education. A quick scan of the newspapers and social networking sites reveals an ongoing debate that never seems to reach any kind of resolution, not least because the four parties involved (policy-makers, schools, parents and the children themselves) rarely see eye-to-eye on the matter. For policy-makers - usually several steps removed from the classroom - homework is often perceived as a panacea for ailing achievement levels. If children can do more outside school to reinforce what they have learnt in the classroom, progress will be faster and standards will rise sooner. The reality is not so simple. For while some parents positively welcome homework, seeing it as a sign of a school's serious intentions, there are many more who regard it as little more than an unwelcome intrusion into family life, for a variety of reasons. Some simply harbour a straightforward belief that children work hard enough at school and need time to recharge their batteries in the evenings. Any teacher struggling to motivate a weary class on a Friday afternoon will likely support this view to some extent. Given, too, that more active and creative subjects are increasingly being squeezed out of curriculum time, there is much to be said for the argument that children should be using time outside school to explore other, non-academic or active pursuits. After all, achievement in Maths and English is a relatively slim part of being a healthy, well-rounded individual. Other parents may see some value in homework in principle but disagree with how it is actually administered. Typical bones of contention are the fact that homework may not be marked or followed up properly in class, that there doesn't appear to be any point to the activities set, or that the tasks are too difficult. Sometimes these issues arise because policy obliges a teacher to set homework, yet it is then treated as optional by some members of the class. Sometimes, however, a child may appear to have grasped a concept in class but then struggles to approach a reinforcement activity independently outside the classroom. The child may, understandably, be upset and these feelings may be exacerbated if the parent tries to explain but uses a different method from the one the child has been taught, or if the parent helps too much and it becomes more their work rather than the child's. In both cases, the value of the homework task is immediately diminished. Alternatively, the parent may try to stave off arguments and further frustration simply by informing the child that the homework is too difficult so they don't have to do it. In that scenario, the child is caught between the dominant characters in their two separate worlds, often without the skills to negotiate the situation diplomatically. 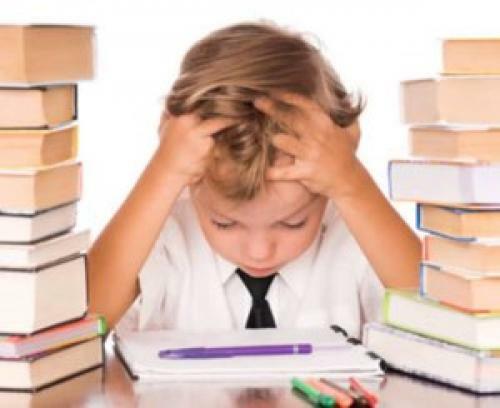 In such circumstances, parents often voice negative opinions about homework in general, which can't help but foster a negative mindset in the child too. While parents are entitled to be concerned if homework is the frequent cause of arguments or frustration at home - many teachers value such feedback as it is another reference point to help them gauge how well a child's ability to work independently is developing - parents are not necessarily equipped with the pedagogical skills to judge the inherent educational worth of a particular homework task. Then, of course, there are children and parents who find themselves in complex personal and domestic circumstances where homework simply cannot register as a priority. For some children, it may not be practicable to complete homework over the weekend: that might be precious time they spend with a parent they only see at weekends. Teachers and pupils alike are caught between the attractive theory of homework and the somewhat messier reality. Too often a homework task may appear beneficial in theory. Simple reinforcement of a mathematical concept covered extensively in class should, for example, be a worthwhile exercise. However, when you factor in fatigue, the chance that the child has forgotten what precisely they have to do, other calls on the child's time and distractions, and parental input or lack of it, at best you have a pretty blurred picture of how well the children in the class have assimilated that particular concept. In other words, a homework task may be completely valid in theory, but in practice other factors come into play that may detract from the educational value of the task, sometimes to the extent where it is rendered pointless. When primary-aged children are still developing the ability to work independently and often work in pairs or groups within the classroom, setting homework tasks that almost by definition must be tackled independently seems somewhat out of step. Thus homework soon begins to look like a box-ticking exercise, designed to appease those who want it but with little intrinsic value. Yet is that true of all tasks teachers expect their students to complete outside the classroom? Learning spellings, multiplication tables and readings are tasks that seem to appeal more readily to parents and can have a direct impact in the classroom, so are perhaps less controversial as homework assignments. Progress is easier to gauge and methods are less open for discussion or confusion, particularly if the school sets its policies and approaches out clearly. In the case of anything beyond these conventional homework activities, the jury appears to be hung. One of the reasons some parents appreciate homework is that it gives them a snapshot of what goes on in the classroom. They gain an insight into curriculum and the methods used - if only through the distorted lens that is their child's ability to communicate their understanding of what they have been taught. But there are plenty of other, more direct, ways to provide this information for parents, including information evenings, publishing an outline of the curriculum and home-school communication logs. It's not necessary to trap children in the middle.